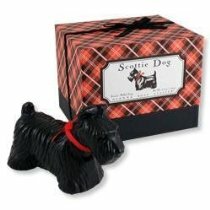 Scottie dogs, with their distinctive, stylised looks and appealingly earnest facial expressions, have long been a popular 20th century motif for fashion, ornaments and various what nots and bric a brac. 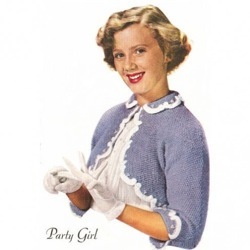 They ooze character and have a kind of retro, old-fashioned charm - possibly because their image can be found on so many old tea towels, cake tins, calendars and brooches etc. 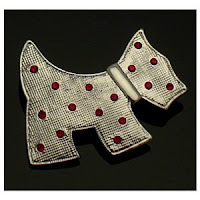 Like the poodle, they possess a serious style cachet and were particularly sought after, as decorative accents, from the 1920s through to the 1950s. 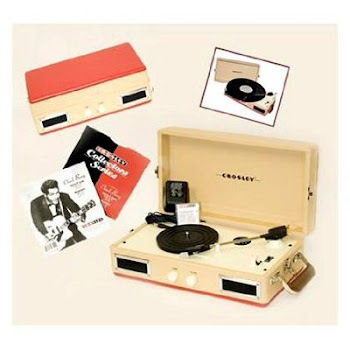 They even had the distinction of being a Monopoly playing piece. 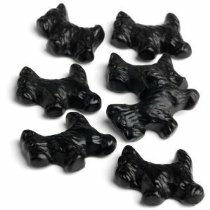 This retro charm has seen them maintain or perhaps regain popularity as decorative items in the 21st century, as they can still be found gracing a plethora of goods, from planters, tea sets, sweaters, PJ's and door stoppers, to licorice, tights and that old 1950s favourite - the Scottie dog brooch. Perhaps this pop-cultural longevity, is what spurred the Earl of Dumbarton to nickname this wiry breed the "diehard". 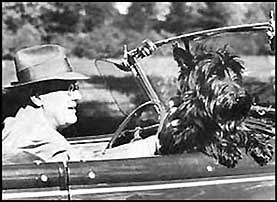 Franklin Delano Roosevelt was a Scottie dog enthusiast, as was Queen Victoria, Rudyard Kipling, Dwight Eisenhower, Joan Crawford, Bette Davis, Shirley Temple, Dorothy Parker, Humphrey Bogart and Jackie Onassis. 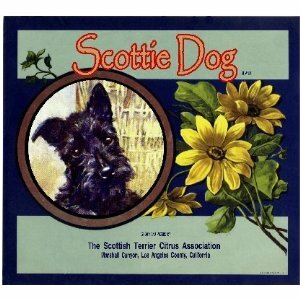 President Roosevelt and his beloved Scottie, "Fala"
Dear little friend of mine, I never knew. All-innocent are you, and yet all-wise. This mighty globe was made for you alone. Of all the thunderous ages, you're the heir. 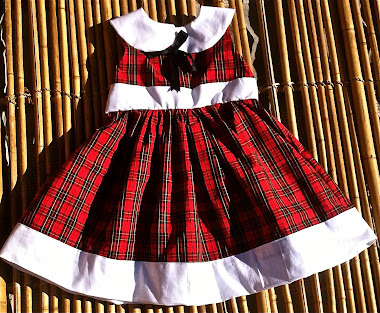 Although Scotties are commonly portrayed as black, there is also a paler, 'wheaten' variety. By most accounts they are feisty but loyal and one of the oldest of dog breeds. While real life Scottie dogs may have lost some ground as chic pets since the 1930s when they were at their height of fashionable kudos, they still have their admirers, including ex-president George W Bush. Scottie for President? 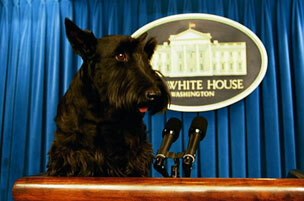 This is "Barney", President George W Bush's dog.